Rapidly changing risks and increasing compliance requirements mean corporate leaders are under scrutiny over alleged wrongdoing as never before. There are a growing number of areas that can result in a company and its directors being sued. Tightening regulations, emerging technologies, increasing shareholder activism, intensifying class action litigation activity, escalating merger objections and IPO activity and the rise of regulator activism are among the many challenges facing corporate directors and officers. Executive liability is increasing yearly, particularly in areas such as employment and data protection. Third party litigation funders are changing the global litigation map, with their influence pivotal in the development of collective actions against financial institutions and commercial entities and their directors and officers. Litigation funders are front and center in some of the largest multi-jurisdictional claims. Activity is expected to increase. 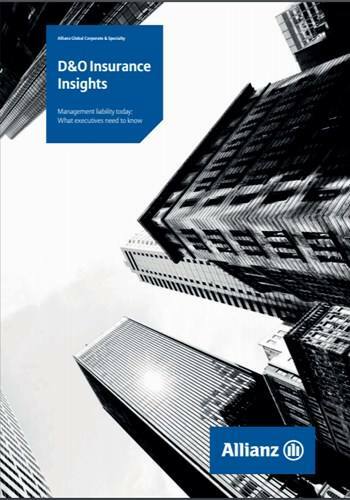 Managers face a growing threat from legal and regulatory liabilities which could result in costly investigations, criminal prosecutions or civil litigation, putting the company’s assets, and their own, at risk.